2000 - 2004: Бакалавър по информатика, Факултет по математика и информатика, СУ "Св. Климент Охридски"
информатика, СУ "Св. Климент Охридски"
M. M. Arslanov, S. B. Cooper, I. Sh. Kalimullin and M. Soskova, "Splitting and Nonsplitting in the Σ20 Enumeration Degrees''. Submitted to Theoretical Computer Science, "TAMC08''. M. Soskova, "The Limitations of Cupping in the Local Structure of the Enumeration Degrees''. Submitted to Archive for Mathematical Logic, A. Beckmann, C. Dimitracopoulos and B. Loewe, eds. M. Soskova, "Cupping Classes of Σ20 Enumeration Degrees''. Logic and Theory of Algorithms, A. Beckmann, C. Dimitracopoulos and B. Loewe, LNCS, 5028 (2008), 554-566. M. M. Arslanov, S. B. Cooper, I. Sh. Kalimullin and M. Soskova, "Total Degrees and Nonsplitting Properties of Σ20 Enumeration Degrees''. Theory and Applications of Models of Computation, M. Agrawal, D. Du, Z. Duan, A. Li, LNCS, 4978 (2008), 568--578. 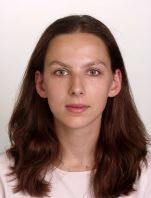 M. Soskova, "A Non-splitting Theorem in the Enumeration Degrees''. To appear in Annals of Pure and Applied Logic. M. Soskova and G. Wu, "Cupping Δ2 Enumeration Degrees to 0'''. To appear in Mathematical Structures in Computer Science. M. Soskova and S. B. Cooper, "How Enumeration Reducibility Yields Extended Harrington Non-Splitting''. Journal of Symbolic Logic, 73 (2008), 634-655. G. Barmpalias, A. E. M. Lewis and M. Soskova, "Randomness, Lowness and Degrees''. Journal of Symbolic Logic, 73 (2008), 559-577. M. Soskova and G. Wu, "Cupping Δ2 Enumeration Degrees''. Computation and Logic in the Real World, S. Cooper, B. Loewe and A. Sorbi, LNCS, 4497 (2007), 727--738. M. Soskova and S. B. Cooper, "The Strongest Nonsplitting Theorem''. Theory and Applications of Models of Computation, J.-Y. Cai, S.B. Cooper, H. Zhu, Springer Lecture Notes in Computer Science, 4484 (2007), 199-211. G. Barmpalias, A. E. M. Lewis and M. Soskova, "Working with the LR degrees''. Theory and Applications of Models of Computation, J.-Y. Cai, S.B. Cooper, H. Zhu, Springer Lecture Notes in Computer Science, 4484 (2007), 89-99. M. Soskova, "Genericity and Nonbounding''. Journal of Logic and Computation, 17 (2007), 1235 - 1255. M. Soskova, "A Generic Set that Does Not Bound a Minimal Pair in the Enumeration Degrees''. Theory and Applications of Models of Computation, Jin-Yi Cai, S. Barry Cooper, Angsheng Li, LNCS, 3959 (2006), 746-755.